The URL that I’ve been using for my blog since its launch in 2010 – http://www.gregwilson.co.uk – now takes you to the hub, the blog still intact, but with the URL for each post preceded by blog, so the homepage now becomes http://blog.gregwilson.co.uk. 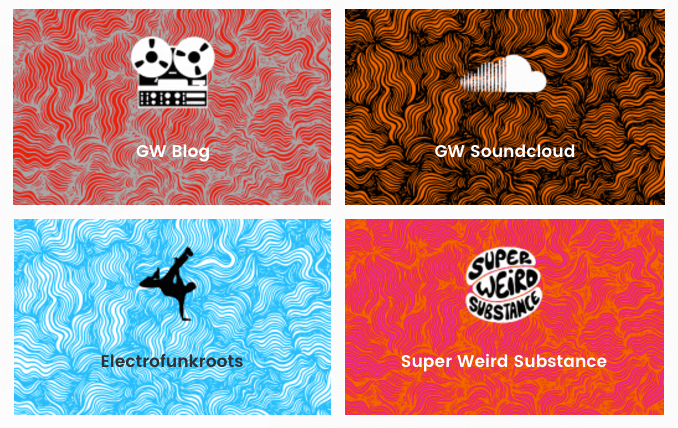 The hub lists my upcoming DJ dates at the top of the page, followed by prominent links to a trio of associated websites – my blog, of course, plus Electrofunkroots, which has grown into a substantial online archive focused primarily on the early-‘80s, and Super Weird Substance, my label. The 4th link is to my SoundCloud account, and the many many DJ mixes, remixes, edits and mash-ups available there to stream / download. 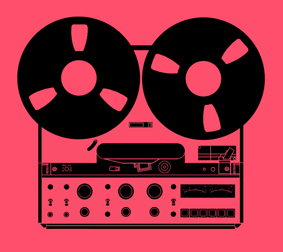 There are direct links to the documentative podcasts Random Influences (featuring 7” singles only, from early ‘60s – mid ‘70s), Time Capsule (dance music played in the clubs during 1976/77) and Early 80s Floorfillers (the big underground club tracks from 1982/83), complete with their combined 58 episodes. Mixcloud, which has also quietly amassed a sizeable archive, Spotify, my Essential Mix, plus my current Discotheque Archives series, published monthly in DJ Mag, are further inclusions, along with all the usual social media suspects, including Facebook, Twitter and Instagram, which I intend to develop moving forwards. I’ve been looking to do something like this for a few years now, bringing everything together in one place, so big thanks to Stu and Josh for all the help in getting the hub up, running and looking fly. Hope you find it a useful and enjoyable a musical stop-off in that never-ending tangle of online. Awesome! So bummed to miss u in San Francisco!!! I will be in Uk!! sweet. all eggs in the one basket. Nice one Mr Wilson ! Great! Awesome seeing and hearing you in Florida Greg!